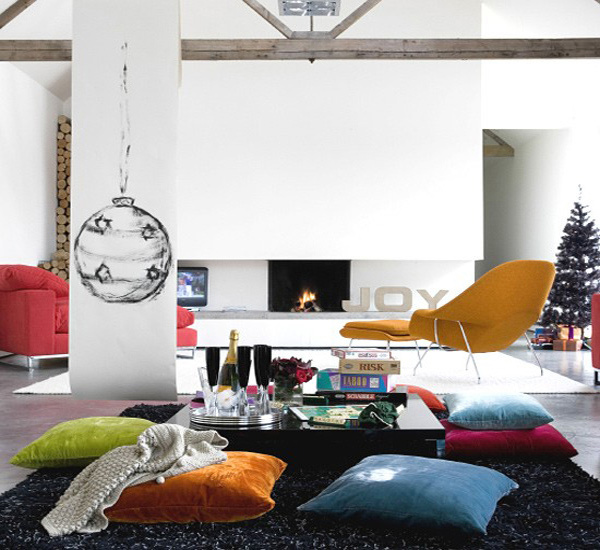 Decors are essential things in our homes, for they bring about beauty and charm to our already decorated spaces. They may be tiny tidbits of rugs, lights, books, vases and let alone plants. They add more life to spaces – whether they’d be the center piece in our tables, or accents for our walls, they are added to our spaces to complement our existing designs. Today, we will be showing you 15 Pretty Living Room Decors which may seem common for us, but picking the best items may be really tricky and tiring. Sometimes, we hire Interior Decorators or Interior Designers to help us along the way, although this may be a specialization, we can always ask Architects to assist us! Take a peek at our collection! This dramatic living room features a backdrop of soft amethyst, mixed with grey and deeper plum accents. 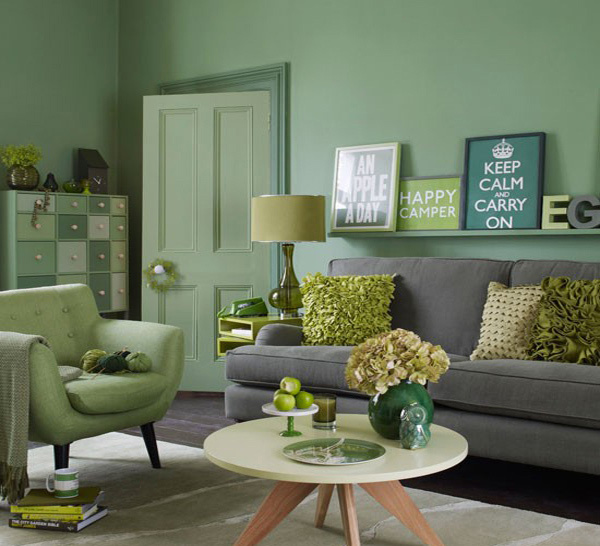 The scheme comes to life with hits of acidic chartreuse for a living room that’s full of confidence. 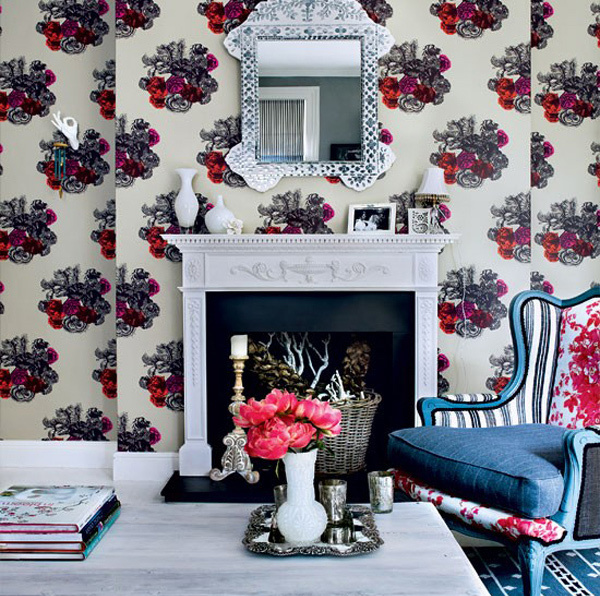 Chinoiserie provides an exotic, rich and bold statement in this living room. Striking pattern and sophisticated colour provide the perfect foil for the simple lines of streamlined pieces. This living room has been taken from functional to beautiful by introducing pattern, texture and statement pieces. 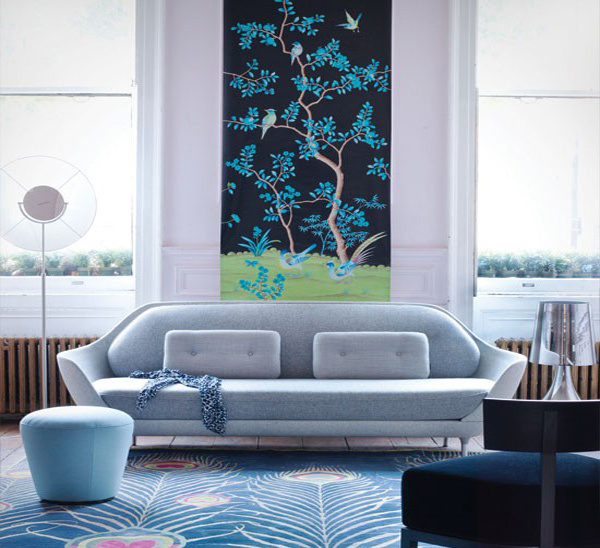 The patterned rug adds interest to the neutral flooring, the detailed cushions liven up the sofa, and the blossom wall art is an eye-catching focal point. The front window in this living room fills the area with light. 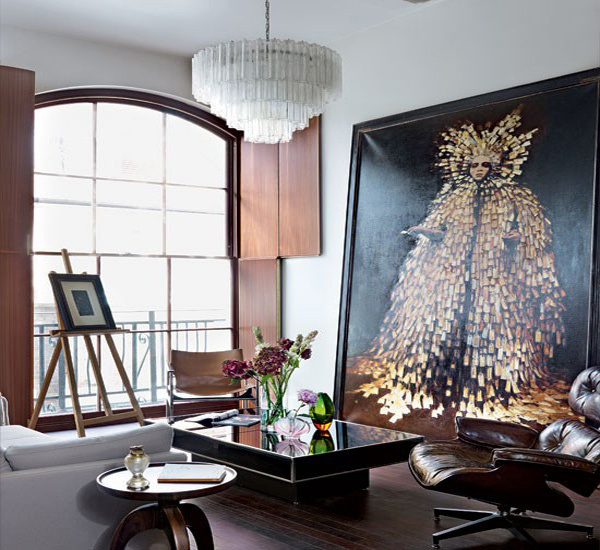 Big pieces take on extra drama in a smaller living room and become focal points, such as the stunning glass chandelier and oversized painting. 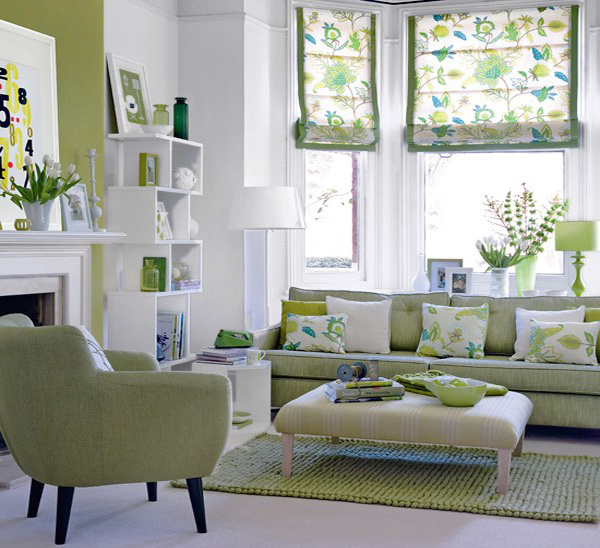 A statement sofa in lime with a hint of mint green, teamed with mix-and-match bright cushions, printed blinds, lamps, rugs and a tub chair in complementary colours, creates a fresh, spring look. 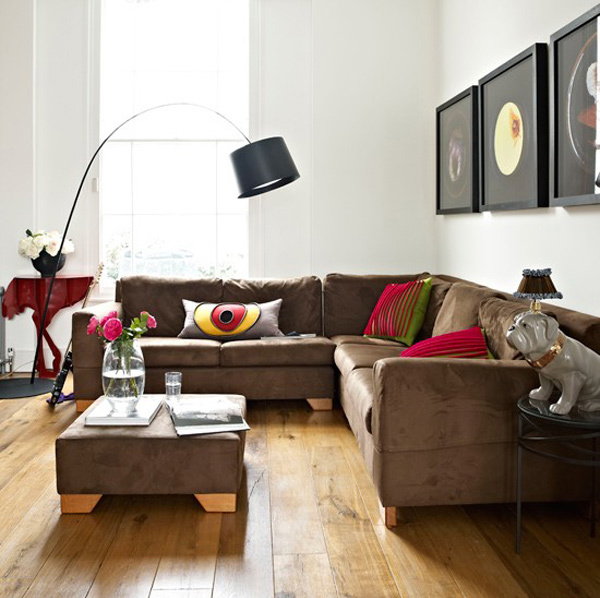 By using a range of tones in this living room, it prevents clashes and brings harmony between the shades. Placing artwork on a picture ledge means the display can easily be changed without having to re-hang anything. 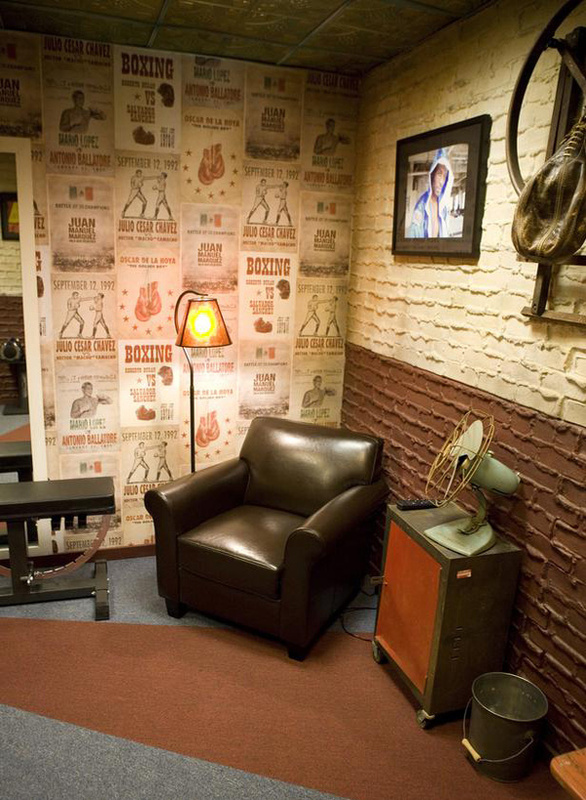 The two-toned brick wall complements the vintage paper wall treatment. Boxing-inspired photos and wall decor help motivate anybody who sets foot in the gym. In this urban loft, designers Cortney and Bob Novogratz use simple designs and decor to make a big impact fitting for the space’s small size. 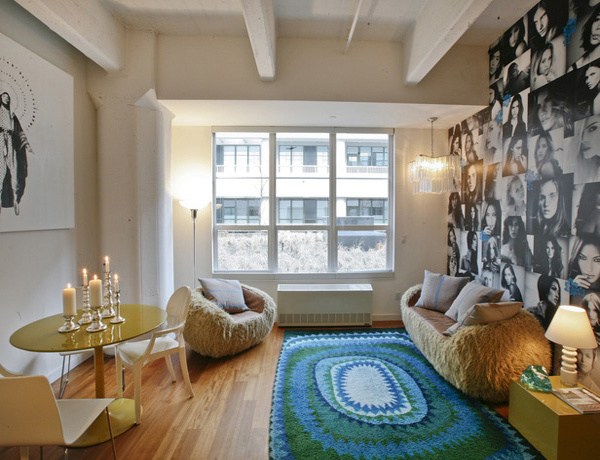 The photo wall collage and vibrant area rug produce the right amount of energy and boldness without making the room feel cramped or overwhelming. Contrasting colors are a great way to make a statement. Large dark colored areas, like ultramarine or even black, need bright colored accessories to draw attention to key elements. Formal chaises find a home in the lounge area, which is sectioned off by a sisal-style nylon rug. Picture windows shine a spotlight on a carefully edited collection of countertop accessories. This stunning modern living room uses a clever clash of patterns and styles, including blousy florals, crisp black and white stripes and smaller-scale Indian details. 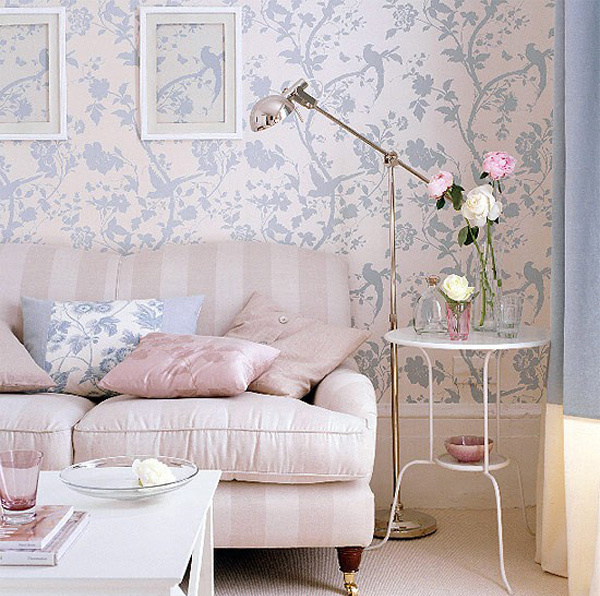 Mix blue, and floral wallpaper for a soft, gentle living room style. The delicately patterned wallpaper and sofa are both from Laura Ashley, while the simple side table is from Ikea. A small, white room has been transformed into a cosy country living room with white pretty florals and dark furniture. The French windows bring the outdoors in and provide floods of natural light. 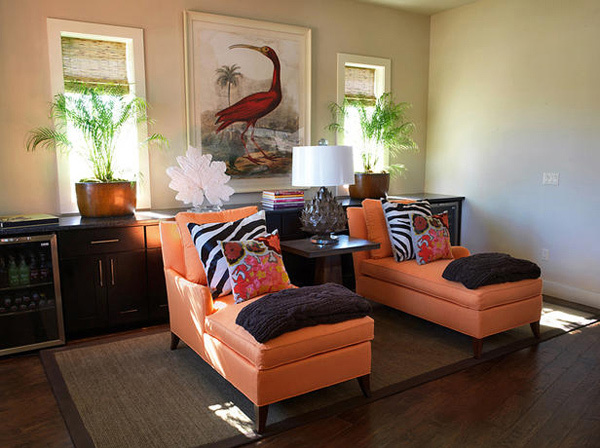 Bright cushions and quirky accessories bring a playful feel to this modern living space. Relax by the fireside on a classic Eero Saarinen Womb chair and footstool, upholstered in burnt orange, or on a bright sofa on a Roger Oates cream rug. Or settle down to play traditional board games, seated on bright velvet cushions around a low-level coffee table on a speckled black rug by BoConcept. And that was our 15 Pretty Living Room Decors! Pretty stunning don’t you think? They give more beauty to our rooms! They may either be huge items or small ones, but they sure make our spaces lovelier than they already are. Visit our 15 Lovely and Stylish Living Room Fireplaces and tell us what you think!